If you must, only give sensitive information on websites with an HTTPS connection. Today’s world is less than ever defined by the features, restrictions, and demands of the physical world. Where the processes of evolution placed geographical, time, and species barriers between us in the past, humanity has developed a virtual world in which nothing like the constraints of the world for the last 4 billion years obtains. We can see anywhere, talk with anyone, and create or purchase anything we want, at any time. The only barrier to entry is a modern technological device, which, if you don’t have a computer, can typically be found at any library in America. All this to say: our lives are becoming as much of an online presence as a physical reality. What does this mean in terms of stability, security, and identity? Much e-ink is spilled over these questions. Today we just want to look at the basic components of online security. As you follow the tips below, you can rest assured in the knowledge that you have ground beneath your feet when you’re online, and have taken the appropriate measures to thrive in this new, virtual environment. Many believe home network security is taken care of by their internet service providers (ISPs). When consumers purchase routers from ISPs, the belief is that these routers come already pre-set with the best security settings. Unfortunately this simply is not the case. The main reason is because the factor default settings on routers can be discovered by hackers and stored in data tables for later retrieval. As a result, network home security can be improve dramatically simply by tweaking a few settings. To begin your foray into the complex world of internet security, begin it on the right foot, by creating, using, and storing strong passwords in secure environments. Since everything is online, you can of course use free programs like Google’s Drive to store sensitive information like passwords, financial information, and the like. Cloud services like the Drive are useful to many because they provide instant access to documents so long as the user has an internet connection. With Drive, you can access your documents from any device, at any time. Sometimes the best way to stay connected with your most sensitive information is to keep it disconnected from public spaces and services that are liable to be hacked or used by other people without your knowledge. A good way to disconnect your information is to keep it on an external hard drive. There are many steps you can take to completely secure your Wi-Fi router, here we will just focus on a few. Most importantly, change your Wi-Fi’s name and password. This step may seem negligible, but there is more at stake than many people believe. The Rainbow Tables hackers use to gain access to systems actually have millions of stock Wi-Fi router username/password combinations stored. It is actually relatively easy to login to a router if the default username/password combination is used. Similarly, you will want to disable Wi-Fi access to your router admin panel. Just as Wi-Fi username/password combinations are stored in Rainbow Tables, so are router admin username/passwords. There are actually websites that store factory username/password combinations for anyone to look-up. If somebody knows your router model, they can login to your admin panel through your wireless network and change all your settings, passwords, and restrict access to your network. As simple as it seems, changing your router’s username and password combination is one of the best ways to improve your home network security. 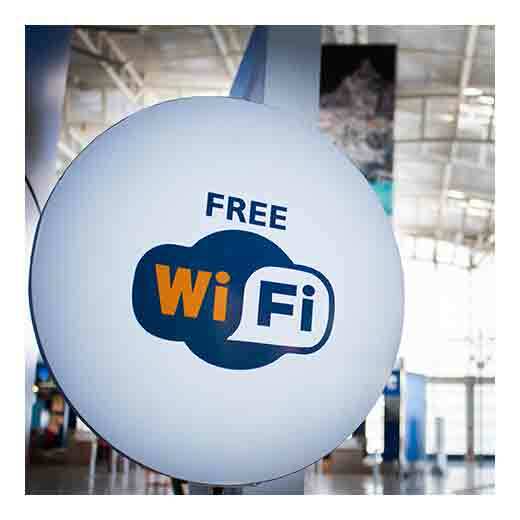 As public access to Wi-Fi networks grows, so do the security risks and threats. Many ordinary attempts at hacking your device comes through the “middle man attack” technique, when hackers use seemingly legitimate Wi-Fi network names like “HiltonGuests” to trick people into signing onto their networks, where they can then see all your device data. Although there are many ways in which to improve your public cybersecurity, below are just a few that will get you on the right foot. After you double check your phone for recent updates, you’ll want to download a VPN. A virtual private network (VPN) is one of the safest ways to use the internet publicly, if you want to keep your data and your devices anonymous. Without a VPN, your information, including the public Wi-Fi router you are connected to, is open to anyone who might have the capability and know-how to listen in on your connection. Because the internet is a collection of servers and wires, and every action performed on the internet is performed through electrical signals and data packets, servers exchange this information to get you to the servers hosting the websites you want to connect to. This means that a lot of information about you can be in the open at multiple points of every connection. A VPN encrypts your data with a secret code every time a connection is established to any server. This means that any information sent to any server is scrambled so that somebody trying to listen in cannot see what each data packet contains, unless they somehow unscramble it. VPNs can change their secret codes at random, making unscrambling nearly impossible. Secondly, VPNs actually work before the Wi-Fi network you are connected to can identify your device. This means that your location, your specific device IP, and which Wi-Fi network you are connected to all remains anonymous to any onlooker. VPNs are a really great way to stay anonymous in the virtual world, where privacy breaches occur regularly. And the Norton security firm offers one of the most cost effective VPNs on the market. A few years ago, the general belief was that HTTPS was only necessary for websites that stored and managed sensitive user information, like banks, ecommerce sites, and others. As Google has written, this is no longer the case, and perhaps never was. Because HTTPS encrypts data sent and received between a user’s browser and a website’s server, it masks user behavior. This is important, because although a visit to one unprotected website to play a game or read an article might seem benign, a hacker can expose your identity by piecing together behavior patterns. As Google notes, “For example, employees might inadvertently disclose sensitive health conditions to their employers just by reading unprotected medical articles.” This process is known as de-anonymization. As we continue to move our businesses, personal lives, and social interactions online, privacy and security will become larger and larger concerns. 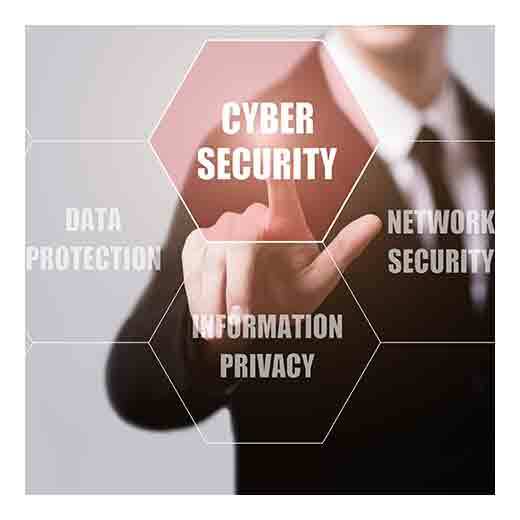 Get ahead of the curve by staying up-to-date on best cyber security practices. With streaming services, online banking, cryptocurrency, and social media coming of age all at once, it’s no wonder Wi-Fi is in high demand. It’s not just a minor inconvenience when a restaurant, or even now retail stores, don’t offer free Wi-Fi. Free Wi-Fi for the modern person is at times the deciding factor as to whether a business will be visited or not. It’s more important than ever, consequently, to be able to discern between secure public Wi-Fi options and insecure public Wi-Fi networks, to know the basic steps you can take to use public Wi-Fi safely and securely. Follow the tips below to use public Wi-Fi with some peace of mind. This may seem obvious enough. But the difference between HiltonGuest and HiltonGuests can mean waking up with an empty bank account. Wi-Phishing, which is what this kind of hack is called, entails setting up a Wi-Fi network that resembles a public Wi-Fi connection but which actually takes you to a hacker’s network. You are tricked into logging into the wrong network, and then the hacker has access to all your information. Be sure to pay close attention to the next public Wi-Fi network to which you connect. Hackers leverage the appearance of legitimacy to connect to your computer, so be sure you verify the network you connect to is, in fact, authentic, and doesn’t just appear that way. Since public Wi-Fi networks are public, they’re accessible by anyone with a device that connects to the internet. That means that anybody can access your information with the right tools and a certain level of know-how. The best way to ensure you stay safe is to refrain from doing online banking, making purchases, or dealing with any kind of transaction that involves personal information while you’re on public Wi-Fi. Or, if you must, follow the three tips below to give you the best chance at avoiding a data breach. HTTPS, the mark of website security, is now recognized by Google as an important ranking factor for websites. The largest search engine in the world recognizes how important encryption is for websites, and now you should follow suit. The fact is that website encryption is one of the most important methods of securing your private information on public networks. What HTTPS does is encrypt data packets you send through the wires of the internet (yes, the internet is, at base, a material thing, and not virtual). When data packets are encrypted they are scrambled into a randomized number/letter code so that it is not self-evident what kind of information is contained within the data packet. As a result, a text to a friend looks no different on the surface than a bank number or a photo like on Facebook. Look for the HTTPS or “Secure” symbol in your website browser to ensure you’re using a secure site. VPN services keep your data secure by not only encrypting data transmission, but by also “masking” your data traffic. The most useful thing about VPNs is they reroute your traffic to something like a virtual tunnel. Whenever you use a VPN, the data packets you send and receive will not go through the public Wi-Fi network you happen to be connected to, but will go directly to a VPN server. This makes your location and information anonymous. Everyone who connects to the same VPN, for instance, will share the VPN’s server as the source of their data. This means that your information will not only be scrambled by an encryption, and secured by its transmission directly to a VPN server, but will also be scrambled with a multitude of other user encrypted packets so that it will become practically impossible to separate what belongs to who and what data packets are what. Helpfully, PC Magazine compiled a list of the best VPN services for your convenience. The trusted Norton security software now offers VPN services, and it appears to be the cheapest on the market. And, of course, it is true that you should keep all your apps, and especially your device’s software, up-to-date. The reason is simple: updates are disbursed for two purposes, either to add a feature or improve what is already on a device. Most of the time updates include bug fixes, and a large portion of these bug fixes include patches for security flaws. So always keep your device updated and never trust a device that isn’t. As public Wi-Fi networks are becoming more and more common, the need for security has grown as well. There are basic steps you can take to ensure you connect to public Wi-Fi networks securely, such as refraining from completing transactions online while your out in public, using only secured websites, and keeping your phone updated. And there are more advanced security steps you can take, such as utilizing a VPN or installing extra virus and malware software on your devices. Whatever you do, pay attention to the security measures you have in place to keep your private information safe.